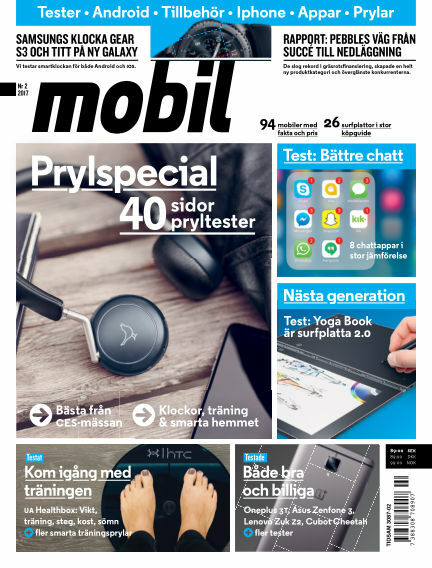 In this issue of Mobil Sverige : Prylspecial: 40 sidor pryltester. Bra billiga telefoner testade: Oneplus 3T, Asus Zenfone 3, Lenovo Zuk Z2, Cubot Cheetah. 8 chatt-appar i stor jämförelse. Och mycket mer! With Readly you can read Mobil Sverige (issue 2017-02-07) and thousands of other magazines on your tablet and smartphone. Get access to all with just one subscription. New releases and back issues – all included.